Various shapes and sizes are available now @ Golden Landmark Store... Call 62922991 for more info. Each lamp is handpicked personally by us to ensure vibrant color and quality. According to the test reports, the amount of air we inhale every day is equivalent to the size of the Olympic swimming pool. The energy requirement of our body is 56% from the total amount of air in which we breathe. However, due to modern electronic appliances like television, computers, and air-conditioning, even mobile phones that keep on producing positive ions (harmful particles) that the quality of air around us has been deteriorating, and our health has been adversely affected. The report from a series of scientific researches stated that salt crystal lamps are able to generate negative ions (the so called “Vitamin of the Air” up to 300%. This is indeed a great contribution to our health and mental functions. The salt crystals in their natural state are normally found inside the mountains. It takes the process of excavation down to 800 meters deep, before reaching the hidden reserve. The raw salt crystals contain over 70 minerals and some ancient organic substances. 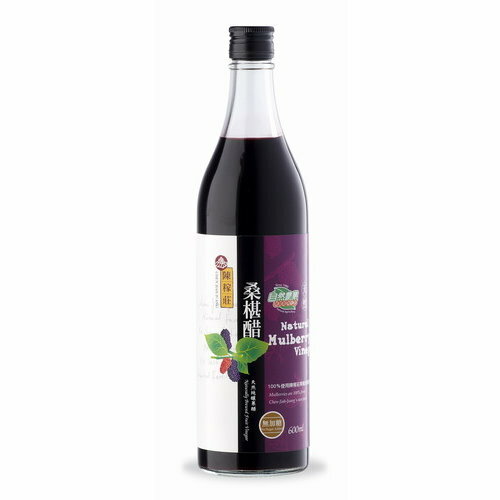 The scientific research also stated that, the electromagnetic frequency generated by the raw salt crystals is not only highly compatible with the frequency of our human bodies and animal, but also further enhance it. Salts are originated from the seas, but how do they end up in the mountains? From the geological perspective, the tectonic plate of the earth crust is moving in an extremely slow motion that it takes hundreds of millions years to push the sea bed upwards, the mountains are then formed. The salt molecules were being brought up, and crystallized in the spaces between rocks, and they are hidden from the external world for millions of years. During this extremely long time, they fused with the mountains as a whole, and absorbed the essence (gravity, radiation, heat and light) of the sun, the moon, and the universe. Now, they are being excavated, and hand carved to become the uniquely wonderful and artistic natural salt crystal lamps. 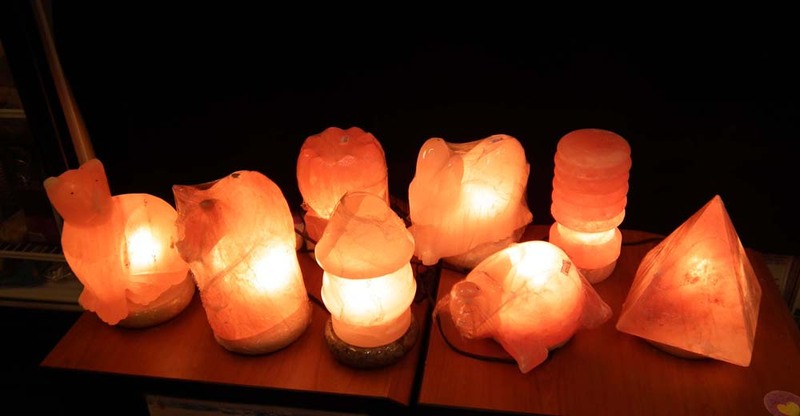 They are many Feng Shui masters agreed that if salt crystal lamps are placed at strategic position, they can purify the surroundings, upgrade the field of Chi and enhance the peaceful atmosphere. 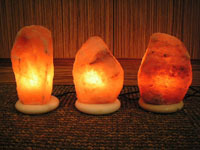 Salt crystal lamps can be placed at places like: beside the computer or television, office, library, study rooms, bedside, living rooms, corridors, kitchen, or anywhere you would prefer and could make you feel purified, refreshed, cozy and relaxing. With the emission of soft orange or yellow light like the morning sun, it always brings you the sense of peacefulness and serenity. Crystal Lamp with Natural Clay Base (helps to absorb the moisture) is now available @ Nutrimax Organic, Golden Landmark.